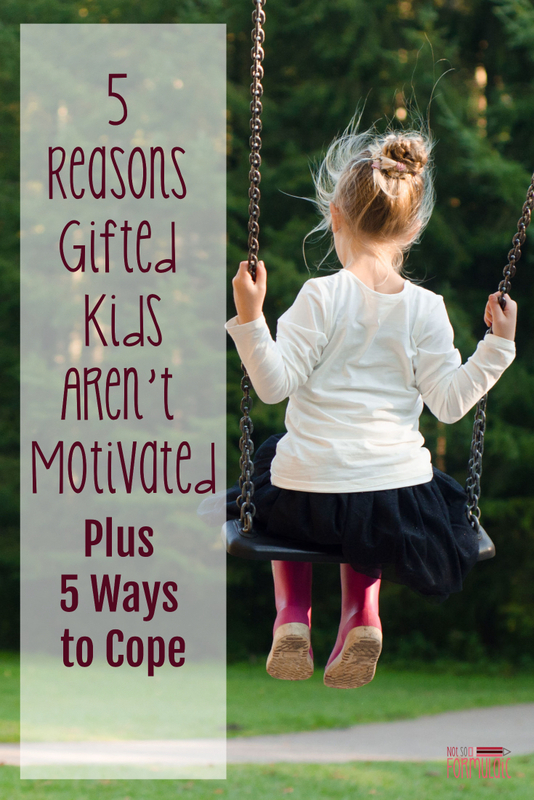 Are you parenting a gifted child who struggles with motivation? Here are 5 reasons why that happens, and 5 ways to help her cope. Kate loved writing, and she was good at it, too. Stories would flow from her fingertips like water, intricate plots and sophisticated characters leaping off the page. But Kate was in my survey course – a standard, high school English class. We were reading and analyzing literature, not writing it, and Kate was wholly uninterested. I worked all year to reach her, but by April I’d all but given up. There had been after-school sessions, parent-teacher conferences, and multiple opportunities to turn in late work. The girl who should have been my strongest student was barely scraping by with a C. That is until we got to poetry, and Kate’s heavy form grew wings. Kate had a habit of drawing dragons. They lounged on her binders, danced across class notes, and lurked atop homework like cats bathing in the sun. The day we did Photograffiti, Kate finally had license to be herself. Rather than struggle to analyze a staid piece of literature, Kate filled every inch of her guitar case with wings, scales, tales, and words. Her classmates and I gathered around, transfixed. All the beauty and wisdom she’d held back that year poured out onto that plastic surface. Kate was a girl transformed, and I was a teacher changed. Prior to Kate’s appearance in my classroom, I had a stereotypical perception of what it meant to be gifted. I had classrooms full of gifted students, I thought: hard working achievers who were eager to succeed. I thought the gifted kids were the ones who never missed an assignment, never struggled with concepts or tasks. There were supposed to be the perfect students. Smart kids who struggled were just lazy. Fortunately, Kate appeared in my classroom a few years before my own poppies were born. I live in a house with three absent-minded professors: their rooms are a mess, their chores are undone, and their assignments for our homeschool co-op are largely ignored. Thanks to Kate’s ability to open my eyes, I’ve discovered lackluster motivation and incomplete follow through aren’t a symptom of poor behavior or attitude. For many gifted kids, the fear of failure is stultifying. Rather than risk doing a task incorrectly, some children will eschew it altogether. My six-year-old is like this, and it’s led to many a frustrating conflict. I know she’s more than capable; she’s convinced it won’t be right. Carol Dweck’s growth mindset has taken off like gangbusters, and it’s easy to see why. Her theory espouses that mistakes move us forward, that struggle and challenge are a pathway to success. 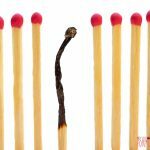 To help your child develop a spirit of perseverance, seek out examples of mistakes that turned out well. Read about historical figures who persevered in spite of great odds. Discuss favorite characters from books or movies whose missteps are a springboard for success. Recognizing the power in failure can go a long way toward liberation from the chains of perfection. Hippocrates had his own version of the Myers-Briggs. He referred to it as the temperaments, four personality types which can dictate a person’s passions and behaviors. I have three of the four: a sanguine (happy-go-lucky); a choleric (headstrong and independent); and a melancholic (sensitive and analytical). The fourth personality type, the phlegmatic, prefers to go with the flow and avoid conflict as much as possible. It’s easy to see why different temperaments might struggle with motivation and completion of tasks. Sanguines won’t be interested in activities that aren’t enjoyable; cholerics will chafe at being told what to do. Melancholics might worry about doing something wrong, while phlegmatics get caught in the inertia of habit. Children are more invested in tasks they choose. Sit down with your child and ask how they want to help around the house, or find out which types of activities excite them. In my house, my six-year-old loves to clean the sink; her older sister likes to cook. Those tasks fall to them, not me, and they’re much more likely to do them because it’s something to enjoy. The great caveat to this is the specter of real life. 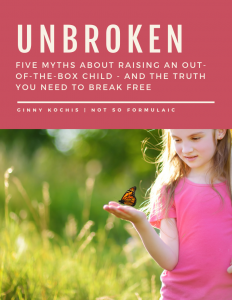 Our kids must learn to accept and follow through on tasks they find uninspiring. But I find that starting with jobs they do like builds a healthy respect for the value of work. As they get older, they are better able to recognize the benefit of more distasteful efforts. Getting dressed isn’t nearly as fascinating as the social habits of komodo dragons. Hair brushing is underrated when there are Lego biomes to build. Messy rooms require substantially less attention than polluted watersheds and creeks. Just getting my child to brush her hair in the morning is a struggle, especially when she’s fixated on a certain topic. With all the information processing that takes place in a gifted brain, a laundry list of tasks and expectations isn’t going to sink in. To avoid overload and avoidance, offer clear, specific directions one at a time, perhaps in a visual format. With their capacity for deep understanding and precocious personalities, gifted kids can seem a lot older than they are. But where some aspects of their development leap forward in giant bounds, other aspects lag conspicuously behind. My fourth grader read The Hobbit in kindergarten, but she still hasn’t figured out how to tie her own shoes. Sometimes the easiest tasks seem insurmountable when asynchronous development comes into play. Educational expert Harry Wong encourages first-year teachers to practice classroom procedures during the first few days of school. Applying this concept in a home environment seems off-putting at first, but when you consider the reality of asynchronous development, helping a child practice new behaviors makes a lot of sense. Break down the steps involved in a task and take time teaching your child how to do it. Even something as simple as packing a bookbag is worth practicing, especially if organizational skills aren’t up to par. 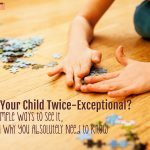 Many gifted kids are twice exceptional. Their abilities come hand in hand with a developmental or learning disability, such as an Autism Spectrum Disorder, ADHD, or dyslexia. Not only do these challenges inhibit access to a child’s academics, they also have a tendency to impact executive functioning as well. If you’re raising a 2E, you probably have some coping mechanisms in place. 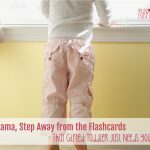 Apply the same techniques used in your child’s academic environment to her home life. For my sensory kids, this means a heavy dose of physical exercise. The exertion helps my children order themselves and find their place in space. Try experimenting with what works in one setting until you find something that works in another. I’m not proud of the length of time it took me to recognize what was going on with Kate. When I think about how much grief I could have saved her, my heart skips a few heavy beats. Rather than continue to force an incompatible strategy on a brilliant mind, I should have identified her challenges and adapted to them accordingly. My preconceived ideas kept me from recognizing the value in her inherent skills. 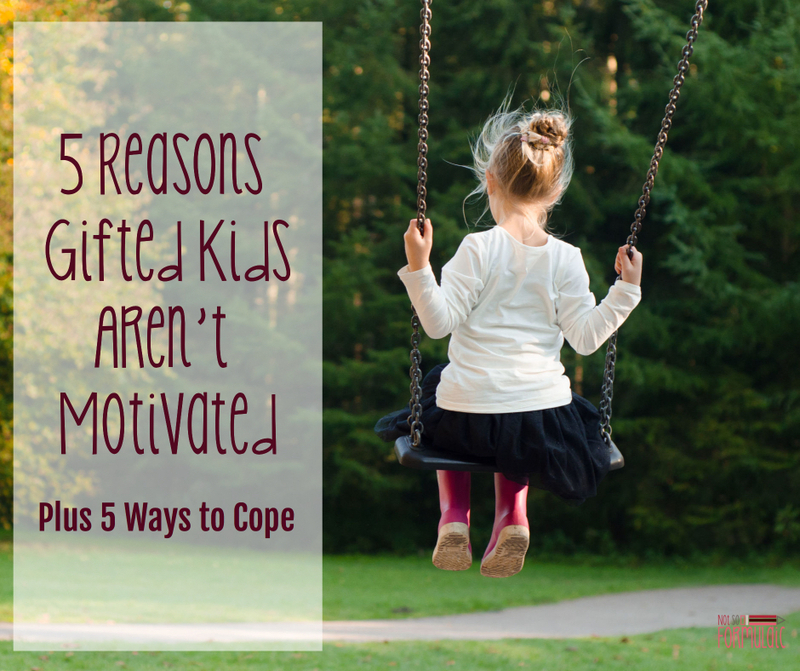 We can’t let our perceptions of gifted dictate what we think of a child’s gifts. Rather, we must learn to accept and meet them where they are, so their talents and gifts will shine. I think I’m gifted, cause I have all these issues too! Insightful look! I’ve experienced a couple of these with my little monster! It’s funny how the apple doesn’t fall far from the tree, huh? This is excellent advice. Thank you! Lots of great advice here. Much of this sounds quite familiar to me. As you say, the biggest challenge is the real world. Is it bad that I felt like I was writing about myself, too? 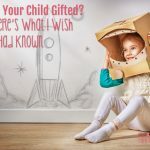 These are fantastic insights into “why gifted kids aren’t motivated,” and I love the practical tips you share to help (you, and them) cope! Thank you so much for sharing your wisdom, experience, insights, and tips… I know they are beneficial to so many parents and educators! You’re welcome – and thanks for the encouragement! Hi April. I don’t, primarily because I’m a homeschooler. As a former educator, my advice to you would be to meet with the teachers early on. If you’re going with your neighborhood public school, find out what the county provisions are for GATE, if there are gifted centers, and at what age those services start. 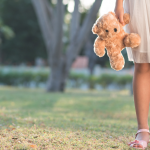 In some states you can even request an IEP for gifted services – it just depends on what the laws and regulations are. If you are looking at private schools, find one that fits your daughter’s learning style. If she’s active, find a school that encourages hands-on learning. If she likes sitting and listening, a more traditional program might fit her needs. My posts on handling the “difficult” student in your homeschool co-op might help; if for no other reason than to give you an idea of how your daughter learns and what type of environment she needs. I hope this helps – let me know if you have additional questions! It’s encouraging to see a heightened awareness and understanding. That usually mean greater acceptance and less criticism. Thank you for helping to dispel some of the myths. (Myths that are at best frustrating and sometimes quite hurtful.) 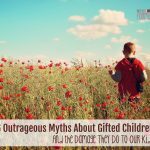 – A grateful gifted mom of 3 gifted children! You’re so welcome. Best of luck to you. We have a wonderful, idealistic, perfectionistic, etc, etc 35 year old whose fourth grade teacher advocated allowing peers to bully and override in order to toughen up coping with the world. Her colleagues deferred to her personal convictions that being normalized and conforming were essential learning goals. Definitely crippling. Definitely destructive. This person did learn. Learned that not fitting the world is unacceptable and that being so different at decoding the patterns for conformity would become a daily nightmare. To do the math, the top 2 percent number about 140 million in this world of ours. Crushing the hopeful development of such a huge number of kids is cruel but also counterproductive to using their unique insights and talents for helping make our collective work a safe and fairer place. Hi, Jane. I’m so sorry to hear what happened to your family. You are indeed right – it was cruel and counterproductive. I hope your family has healed from the experience and that your child’s talents have been able to shine. I don’t usually leave a comment but I feel that you just changed our life. I have feel “different” my entire life, like I am weird and not having a friend like everyone else, like I am not normal. After having my son I realized that he was also different to the rest of the kids and i freaked out thinking that I “taught” him how to be like me (at that time he was 5, now he is about to turn 7). I have been reading since then, getting worried and so on and trying to make changes to get “different results” and it isn’t working as I planned. And thanks to your article now I understand. I understand my son, my sisters, my mom, and me. We are all gifted. Now, I will keep investigating and working, which I think it is the most challenging part as I have to teach by example and I have to understand myself before I am able to teach my son. But thank God and you, now I feel I am in the right path. Thank you so much for reaching out! I’m glad the post was helpful to you and that you now have some clarity.